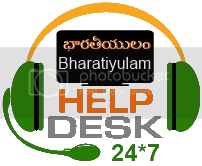 watermark ni mana photos paina ela create cheyali telusukondi ikkada. మనము రాసే లేదా చేసే ఫోటో క్రియేటివిటీ చిత్రాలను ఎలా కాపాడుకోవడం వేరొకరు అవి కాపీ చేసి వారి పేరు రాసుకోకుండా ఉండడానికి. మీరు బ్యాత్చ్ వాటర్మార్క్ క్రియేటర్ గురుంచి విన్నారా ? మీరు ఇలా భారతీయులం అని రాయాలనుకుంటున్నారా ? మీరు ఏదైనా ఫోటో లేదా మీ పేరుని సంతకంగా ఇలా చేయచ్చు. ఇదిగో ఇలా మన ఫోటోలను మన ఇష్టమైన సంతకము తో చేయవచ్చు. ఈ వీడియో చూడండి సులువుగా అర్ధం అవుతుంది. BWC.Exe Crack : Click here. Batch Watermark Creator 7.0.2.rar Click here. Batch Watermark Creator 6.4.rar Click here. Nowadays, people like to upload their digital photos and pictures onto the Internet, and share them with their relatives, friends. Many enterprises resort to the Internet to demonstrate and promote their products. However, duplication and dissemination of product's pictures are very easy, and many pictures are spread without authorization. In order to protect these pictures from illegally used by others, the most effective way is to make a watermark in the pictures before upload. Batch Watermark Creator is a specialized tool for batch add text and images watermark to your photos, images and pictures. Batch Watermark Creator has beautiful and easy to use interface. You will be able to process thousands of files in a few seconds. Otherwise, Batch Watermark Creator is able to edit photos, draw border, create thumb, resizing, etc. Batch Watermark Creator is useful for computer painters, designers, photographer and family entertainment.